Raw! Photo is the most advanced mobile device camera app available on the market today! Take great raw DNG, PNG, TIFF, JPG, and HDR photos with complete camera control just like your favorite DSLR! • Raw DNG Photos: True uncompressed Raw DNG photos in all capture modes including time lapse, stop motion, burst, time delay, exposure bracketing, and HDR. • PNG and TIFF: Uncompressed PNG and TIFF photos. • JPG Photos: Highest quality JPG photos. • HDR Photos: Professional high dynamic range photos with perfectly aligned images, includes tonemap and .hdr file. • 4K Photos: Take stunning high resolution photos. • Rotate Camera: You can rotate the camera view to use Moment or similar lenses. • Picture Style: Apply auto, custom, or no picture style to your photos. • Digital Zoom: Up to 200x digital zoom. • Touch Screen Focus and Exposure: Touch screen for quick and easy focus and exposure setting. • Burst Mode: Up to continuous 12 photos per second photo capture. • Exposure Bracketing: Create exposure bracketed photos in single, burst, time-delay, and time-lapse modes. • Full EXIF Data: Complete EXIF data per photo viewable in app and sharable. • Image Stabilization: Take clear shake-free photos with digital image stabilizer. • Time Delay: Take great time delay selfie photos. • Time Lapse: Make time-lapse projects with ease. • Stop Motion: Create fantastic stop motion animations. • Playback Viewer: Playback your photo albums, time lapse and stop motion projects at selected frame rates from within the app. • Make Video: Make videos from your photo albums, time lapse and stop motion projects at selectable fame rates then easily share them. • Noise Reduction: Turn on to reduce noise in your photos. • Photo Size: Select maximum, large, medium, small photo sizes. • Fast Focus: Use fast auto focus for quick photo capture. • High Resolution: Allows app to capture the highest resolution available for your camera. • Focus Mode: Lock, momentary auto, continuous auto, and manual focus modes. • Photo Types: Save JPG, Raw DNG, uncompressed PNG and TIFF image formats as well as High Dynamic Range photos. • Photo Sharing: Immediately share your photos, and EXIF data from within app. • Copy Photo: Copy JPG photos from app to your device's Photo Album. • iTunes File Sharing: Get all of your photos and EXIF data on to your computer with file sharing. • Save JPG Location: Choose to save JPGs in the app, to your device's photo album, or both. • Flash Mode: Set flash to full auto, on, or off. • Front/Back Camera: Easily switch between back and front cameras. • Camera/Video Light: Turn on/off your video camera light with adjustable power level. • Crop Marks: Built in set of popular crop marks. • User Settings: All user settings are automatically saved. • Settings Presets: Save your favorite camera settings as presets to quickly setup your camera. 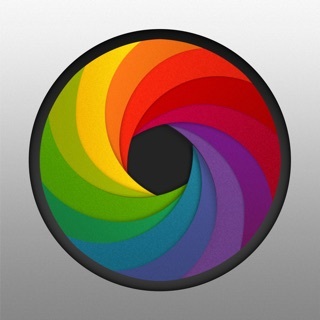 • User Guide: Includes in-app user guide for quick and easy mastering of the camera app. • Exposure: Full manual exposure control as well as exposure lock, momentary auto, continuous auto, time priority, and ISO priority modes. • White Balance: Full manual white balance control from 1,000 to 10,000 kelvin and -150 to +150 tint as well as white balance lock, momentary auto, and continuous auto modes. • Gray Card White Balance: Manually set your white balance using standard grey card. • Low Light Boost: Enhance your photos in low light. • Free Space: Quickly check your device's free space. • Real-time Exposure Values: View real-time ISO and shutter values as they continuously update. Great app but it needs some updating to be amazing. I'm a professional photographer who's looking for an app that takes full advantage of the iPhone 7 plus. The final image quality is fantastic even better then my professional 12MP DSLR. I've run some test's along side the other great apps and the image quality is still the best, although the other top two apps out there do come close. Here is what you need to improve upon to make this the best DNG app for pro's. the ability to use both lenses on the iPhone 7. For now it's using the wide lens and has no way of switching to the telephoto lens. It must take full advantage of the RAW like the wide lens does. Because I take a lot of RAW photo's I need to batch download them to my iMac computer to process, for now I can only send one at a time Via AirDrop. Those are the major details I find so important to make this app the go to for me. Like I said, totally nailed the quality of the image and detail. Hope you guys get started soon on an update, because I will be your biggest fan and let everyone know on social media about your app.